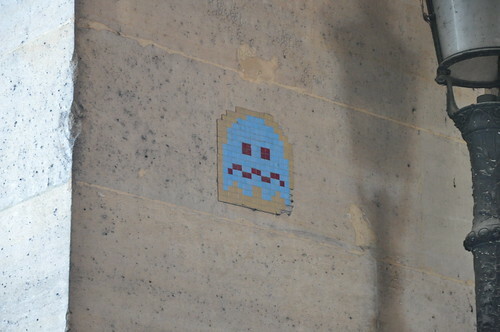 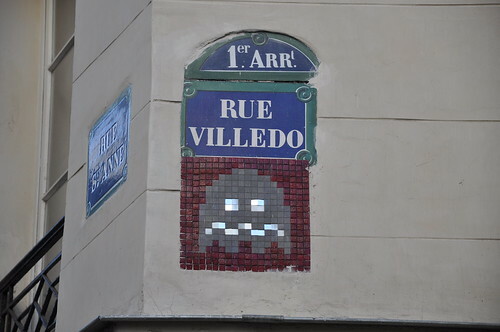 So while we were in Paris we accidentally stumbled across some Invader street art. 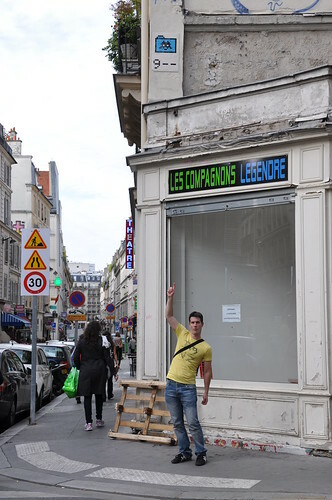 Actually, quite a few. 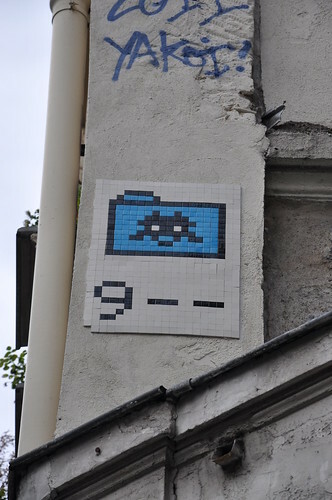 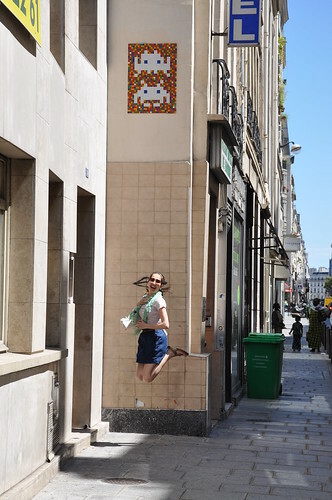 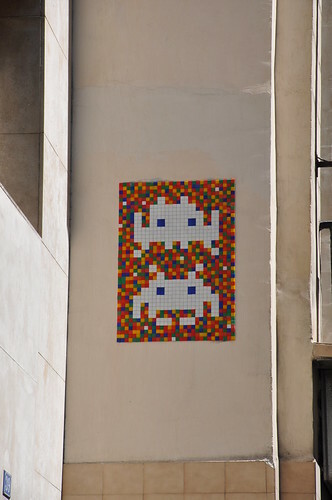 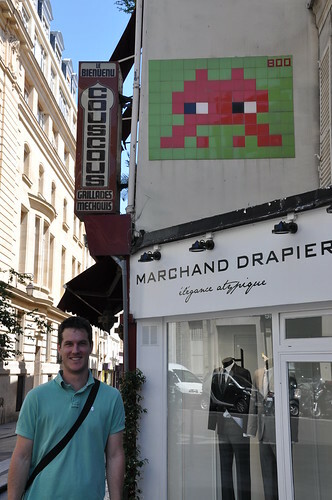 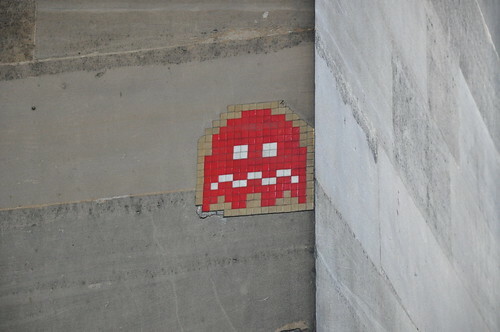 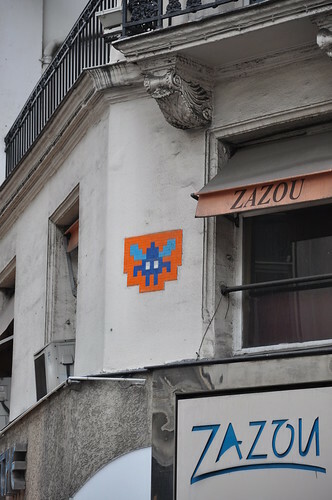 Invader is a Parisian street artist who sticks tiles to the walls in the shape of Space Invader arcade creatures. 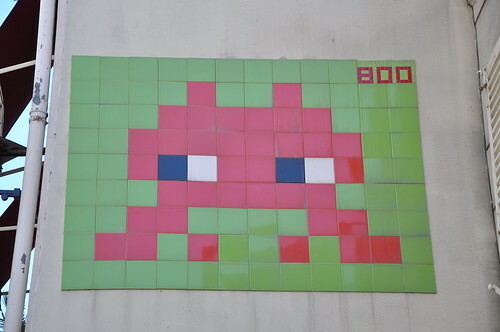 Once we found one, we decided to have a little look around, and we ended up fining heaps! 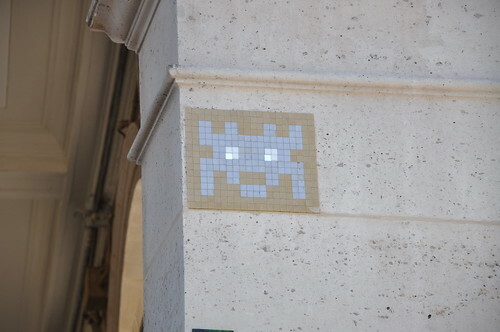 These three are in the entrance arch ways to the Louvre. 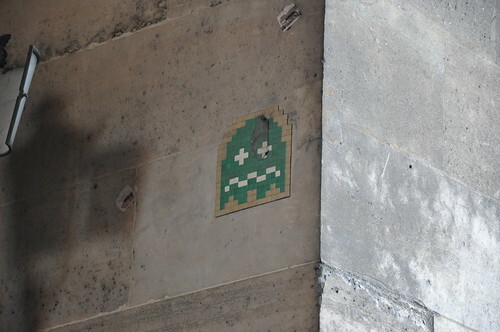 So you can get a bit of modern art before you go see all the old stuff. 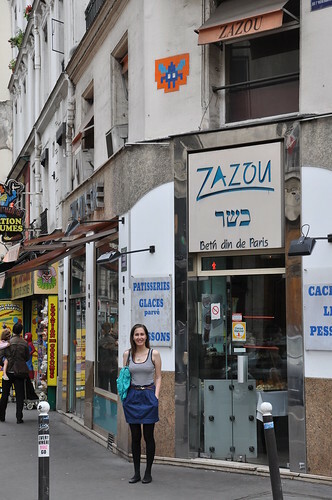 You know that you guys hit ten while you were there. 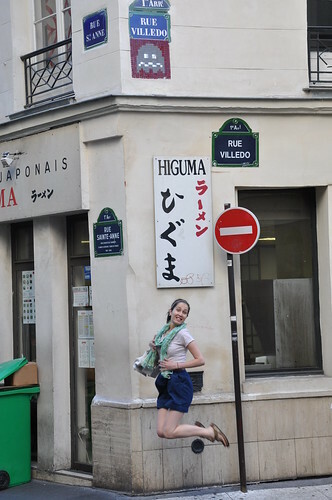 I’m still sitting on eight. 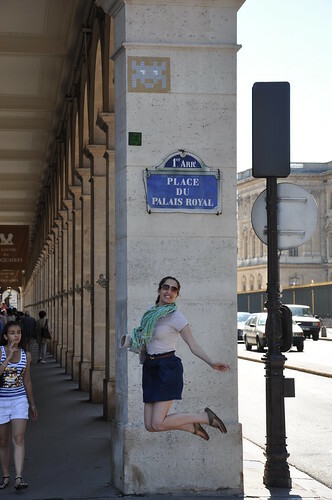 Quite jealous of all your spotting! 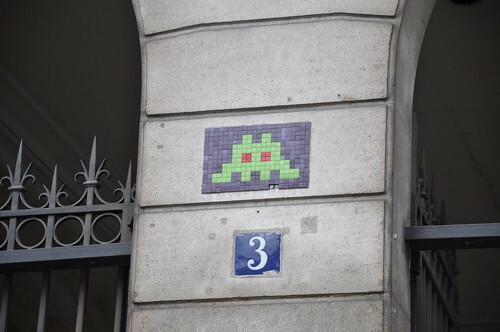 Looks like you had a great time – I’m so glad that you guys are into invader spotting now!